Lily Goode wasn’t aware she had an inheritance waiting for her in the form of a huge Victorian house in Lucky Valley, Colorado. 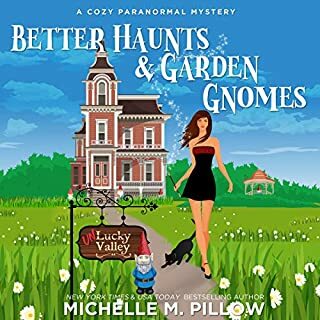 Life might finally be coming together for her, if you don’t count the endless home repairs; dealing with eccentric Aunt Polly who claims they’re both witches; Nolan Dawson, the handsome home inspector, who seems to have it out for her; and the strange hallucinations and garden gnomes who are far more than lawn ornaments. If mysterious accidents don’t do her in, then the rebellious gnomes just might. Kacey Chance is an aspiring actress with a cute face and a plucky attitude. She's trying to break into Hollywood, but it isn't easy. She was the prettiest girl in her hometown, but in LA she's a dime a dozen. When a friend offers Kacey a job working at a detective agency, the young actress jumps at the opportunity. The detective agency is unlike any she's ever seen in the movies. It's run by three handsome, single brothers and their sassy grandmother. Her first day at the agency is anything but boring. Isabella “Izzy” Sage spent her formative years on Belle Isle in Detroit, playing next to the gate that separates the living from the dead as her parents drew a paycheck from the grim reaper council. Then the impossible happened, tragedy struck, and Izzy found herself an orphan. Her grandfather took her away and raised her among the Bruja in New Orleans, although her heart always longed to return to the gate...which felt so much like a part of her. Now, as an adult, Izzy has worked her way up to gatekeeper status, and she’s back in the place her childhood ended. She needs a crystal ball. Instead she gets a cat. Soon she encounters a former classmate who's transformed from nearly invisible to totally irresistible, making it difficult to stay focused on setting up her new photography business. Not only that, but her old school nemesis is now married to the small town's sheriff, and she's determined to make Wendy's life miserable. All this, as well as a stray cat channeling the spirit of her grandmother, makes Wendy's fresh start more like a dead end. Will she be able to return to her former life, or will old demons resurface to destroy her future? 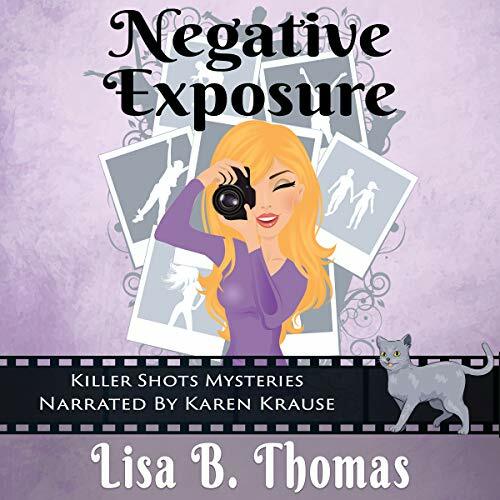 Negative Exposure is the first audiobook in the Killer Shots Mysteries. 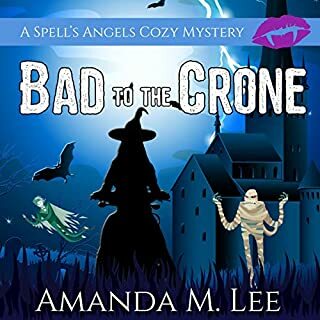 Part Gilmore Girls and part Nancy Drew, this series has plenty of snarky humor, quirky characters, and intriguing mystery to keep listeners coming back for more. Negative Exposure is the first book in a new cozy mystery series about Wendy, a thirty-something woman who moves back to her hometown after her life in Texas falls apart. Having inherited her recently deceased grandmother's house, Wendy has a place to live and hopes to open a photography studio and gallery. Unfortunately, her fresh start is immediately tarnished when she is embroiled in a murder mystery involving her next door neighbors. 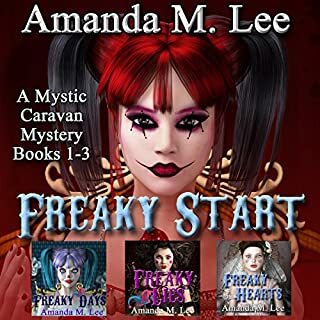 Although the mystery is central to the story, this book is also about Wendy making new friends, avoiding her high school nemesis and finding a potential love interest with a former classmate. The author skillfully pointed Wendy's sleuthing efforts to various suspects, but I was completely surprised by the perpetrator and the motive in the end. Between Wendy's spunky personality, the hijinx of her cat (whom Wendy thinks is hosting her deceased grandmother's spirit) and some really enjoyable secondary characters, I am definitely interested in continuing the series. Karen Krause's narration is terrific. She has a pleasing voice, and she differentiates very well between the characters. I thought her delivery for Wendy's spunky personality was perfect, and I hope she narrates the next book(s) in the series. This is the first Cozy I have ready by Lisa Thomas and it won't be the last. I've got to find out the story of her brother now. Ms. Thomas creates a fun community of nosy neighbors and rivalries. I really enjoyed the mystery..it kept me guessing. I also appreciated how she set things up for more Cozies in Coscada, NM. yay! Narrator Karen Krause was perfect for the snarky Wendy Fairmont. I snickered more than once at her shenanigans. Her inner dialogue will keep you wanting more. Ms. Krause hit all the punchlines and really captured the true essence of the characters. It was a fun listening experience. Thank you! I was given a free copy of this audiobook by the author/narrator. My review is voluntarily offered and was not a condition of this gift. Lisa B. Thomas has written a great cozy mystery! I loved the characters and I’m really looking forward to Wendy’s next adventure. Karen Krause did a lovely job with the narration. I would not hesitate to listen to more of her narrations. Wendy, a former cheerleader, is dispirited. She expected her life to be better, more fulfilling by this time in her life, and she's living on financial fumes. Having inherited her Grandmother's house in her old hometown, things could be worse, but they could also be a whole lot better. Her neighbors are wacky, and not always nice. A high school rival, married to the sheriff, is determined to make her life even more miserable. And it looks like the spaghetti sauce next door is more than likely blood of a deceased inhabitant. 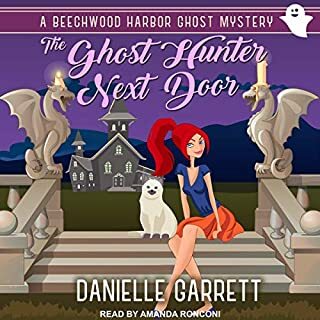 Lots of twists and turns, snarky giggles, a potentially psychic cat, and great narration from Karen Krause. Thomas's cozy mystery is perfect for a commute, folding laundry, gardening, or relaxation with an entertaining read. This is a really good murder mystery.Wendy moves back to town.She lives in her grandmothers old house.The neighbors are eccentric but nice.The only question is 'who killed Harold?' 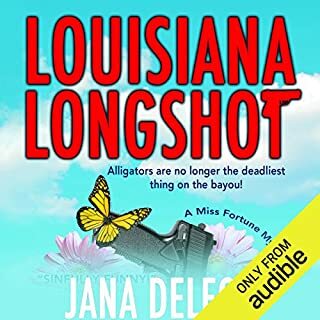 I was happy the way this turned out in the end.Karen Krause was a great narrator.I was given this book by the narrator,author or publisher free for an honest review. I really enjoyed this cozy murder mystery by Lisa B Thomas. I had not expected some of the twists that occurred in this story. I found some aspects of the book to be realistic (starting over, competition with former rivals) while others not so much. The story has some great humor along with endearing characters. I really liked Wendy and her antics, and fell in love with Cricket. Karen Krause is a new narrator to me, and she performed this book great! I thought she fit the New Mexico dialect. I requested this review copy audiobook and have voluntarily written this review. I will definitely listen to more books by this author and narrator. I guessed who did it wrong which is a huge thing for me. This shows that the author knows how to make the reader not think about this particular character. 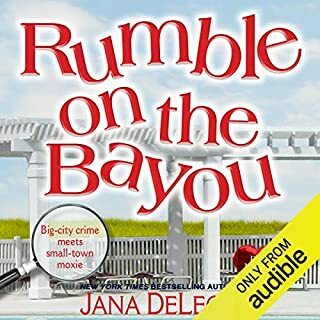 It was a fun listen and I am looking forward to reading other works by this author. Narration by Ms Krause is very good. She does quite nicely all the voices in the book without exaggerating the male ones. the pace of her reading is also good, and she relays all the emotions convincingly. I liked it a lot. Here, Wendy is moving back to her hometown after a breakup with her fiance and selling her business. On the day she is moving into her grandmother's old house, there is a car parked blocking her movers. Wendy believes the car belongs to someone attending her neighbor's funeral reception. Wendy gets to know her neighbor's widow and starts to wonder whether her neighbor wasn't murdered. Plenty of suspects from the widow to his banker to his son-in-law to his golf buddies. In the midst of her investigation, Wendy has decided to start her own photography business and is getting to know long lost acquaintances. This is a very likeable cozy. Wendy's inner monologue is funny and filled with sarcasm that made this book all the more enjoyable. Another plus was Cricket, the cat who adopted Wendy and might be psychic. The narrator, Karen Krause, did a really good job with Wendy's sarcastic tone and all of the quirky neighbors. I found this audiobook to be very enjoyable. There is mystery,suspense and a little romance.